A FANTASTIC doggy daycare center located in Laguna Beach, Ca. - serving the entire Orange County Area. Give their website a peek. You will be very impressed and even moreso with the diversified services offered and amenities at this professional dog day care facility. Pet grooming, day & night care as well as local shuttle service. Top notich! Rancho Santa Margarita�s favorite doggy daycare center in Orange County, Ca. "Where a tired dog is a well behaved dog." Fantastic indoor and outdoor play arenas for the dogs to socialize in. Additional services include Doggie DaySchool, Night Care Program, Home transport for the dogs as well. Oh, and don�t forget their luxurious bathing services. The following services are offered at BZY Feet Kennel�s doggie daycare facility (Santa Ana, OC): Boarding services and day care, Basic grooming (shampoo, ears, nails etc. ), Easy listening music played 24 hours a day. Exercise and Socialization 3 to 4 times a day, Indoor/outdoor runs are heated and Air Conditioned. Dog kennel tours daily. "Mission Gate Kennels provides a healthy, happy environment for your pet and welcomes any question or special requests you may have. We are recommended by veterinarians, breeders, and our clients and we are members of ABKA - American Boarding Kennels Association. You may tour our kennel at anytime during regular business hours." "Our goal since 1986: To provide the BEST CARE, MOST TIME and MAXIMUM LOVE and HAPPINESS to pets in our care and ensure the safest, most wholesome environment for your best friends and ours. We provide all the love, fun, social life, exercise, friends, activities and joys a K-9 kid should have every day." Canine Care Castle in Orange is a boarding kennel for dogs, cats and other critters while you�re away. The doggy daycare facility provides optional exercise and bathing when you the pet owner can�t find the time yourself. What�s great is that the facility is open on Sundays and Holidays. ask Sandman (the owner) about his dog training. The ultimate in pet care. Canine suites with exercise area. Cat apartments with sunning windows. A variety of apartment sizes available. Daily grooming, snack and human playtime. Review report card recapping pet�s stay while at their pet boarding facility in Garden Grove. Website states there is a pet pickup and delivery limo service available! Wow, Camp Bow Wow looks like a place I�d like to take my own pups some time! I figure something must be successful about how they treat their pet guests due to the fact they are now opening up 40 more dog boarding locations. This particular one in Huntington Beach allows pets to stay all day and night having fun with a well trained staff. 4 Wags. Gregg Klepp is the head honcho here and will keep your pets mouths drooling and tails wagging with an assortment of pet pampering. Gregg is very proud of his dog boarding and cattery facility and invites you to drop by for a tour. This temperature controlled indoor clinic has great prices & also offers pet grooming and dog training & obedience. This pet salon & resort is loaded with services that your dogs will love while you are away on vacation. Not only do they have standard dog boarding, but also a daycamp overnight program in their 13,000 sq. ft. facility that your pups can stay & play in. Sign me up! I mean...my dogs. :) Grooming & an extensive range of training classes too. Your dog can exercise until he is tired at this facility in Orange County, Ca. "He has free movement in his individual run in addition to his playtime." The staff will take care of minor skin irritations, scrapes & sores as well as temporary stress diarrhea. This boarding facility�s main consideration is the safety, health & happiness of your dogs. In addition to their private & group dog training classes, K-9 City offers your dogs a safe & comfortable place to relax the day away while you are elsewhere. As a home away from home, the dogs are allowed to socialize with their ole canine buddies of past and make new friends as well. Activities include: play time, feeding, games & quiet time. Starline Kennels has been serving Orange County dog owners for over 30 years, providing excellent care by experienced groomers & kennel operators. Our Kennel facility includes heated/insulated kennel building, which has both indoor/outdoor runs. Dogs can go in/out at their leisure. Each dog has a run of its own. All dogs are kept inside each night. To insure the safety of your pets, there�s onsite staffing 24/hrs a day, 7 days a week (owners live on the premises). Veterinarian�s are on-call to handle medical emergencies. They offer dog boarding tours at their facility 6 days a week. All facilities are sanitized daily. Temperature controlled with music for your dogs & cats comfort since 1971. Dog boarding and general pet grooming in Whittier since 1953. Website discusses in detail their grooming specialties and gives a bit of background on their well staffed kennel care. "Crossroads is a full service training & boarding resort for dogs, cats, & other companion animals. Tour our facility any time during resort hours." 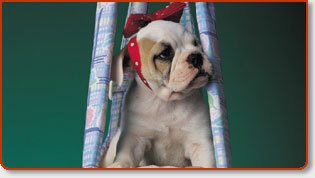 At Crossroads, they accomodate your pets with comfortable beds & an assortment of toys for fun. Their bed and breakfast program includes a comfy dog bed, gourmet meals, & private time in a cozy place. Personal tours of this good looking doggy daycare facility is available daily. They also offer grooming that goes well beyond merely bathing. Try their state of the art HydroSurge bathing and gentle Snyder dryers (photo on website). Plenty of pictures on the site to make you feel comfortable with leaving your dogs here before you ever even visit. "Sunrun Kennels was established in 1996 and is proudly owned and operated by Ted and Judy Nichols. We are conveniently located in Orange County California, adjacent to John Wayne airport on the edge of Newport Beach." Check out the photos of dogs playing in the heated saltwater pool while staying at Sunrun Kennels. Temperature controlled & more. "Cage Free" Dog Boarding By ABC In O.C. During the day, your dog will have his choice of relaxing in the house, or romping on their 3 fully fenced acres. Miles of hiuling trails are available if your dogs savor the outdoors as well as a swimming pool for fun and exercise. Dogs are monitored 24 hours a day while at their kennel and a free bath is offered with each stay. Happy dogs! Dog Boarding Kennels In Huntington Beach, Ca. They enclosed cement buildings, water misters, & doggie play pools for your dogs to go crazy in! They have several large yards to play in, relaxing music, and large dog runs and an enclosed shelter for sleeping. Also available is Vip service which consists of a bit more special service where your pets stay in the home of the owners for an extra $. In addition to their veterinary services in Westminster, Ca. the Veterinary Group provides professional pet boarding through their dedicated doctors and staff. Pet accomodations include: a large grassy area for plenty of exercise, State-of-the-Art medical facility, and accomodations for exotic pets like snakes, etc. Although I didn�t find a website per se for Arroyo Pet Clinic, they do have some pictures and a few words about their boarding care at the above website. Oceanside Pet Hotel serves pet owners in the northern areas of SD as well as OC. They�ve got spacious outdoor daytime runs, and cozy indoor nighttime rooms to help convince your dogs that they�ve never left home. With the pet hotels doggie day care your dogs can have fun in the sun socializing with upwards of 10 other dogs. Group play & fun games. In addition to Vinjon�s dog kennel in Yorba Linda, Ca. they also have professional accomodations for your pets in Chino- just outside the Orange County border. 24 hours a day staffing, on call veterinarians, indoor/outdoor runs, & cats receive individual boarding suites. Daily handling & individual attention is the order of the day at the kennel. A dog day care facility that has over 14,000 square feet of landscaped outdoor play area in Long Beach, Ca. Deluxe cat and dog suites available. Energetic staff knows how to keep your pups happy and exercised so they come home with a smile and ready to rest. Also a great way to socialize your pets the quick and easy way. Installed doggie video cam. 2 years running now, voted best Pet Boarding Establishment in Brentwood by Brentwood Press. Loving care & gentle hands, this La boarding kennel specializes in not only caring for your pups like their own, but also empowering their customers with education through superior client relations. Canine & feline. Member of American Boarding Kennel Assoc. A veteran trained staff cares for your pets while you�re away 24 hours a day in their 5000 square foot boarding facility. Drop by for a visit or leave your dogs at their convenient location for a day or as long as you need. While there, they also can provide extra services such as house breaking, behavior modification and puppy socialization. Reading through this doggy daycare website makes me feel that their staff is serious about pet care, but also exudes and uncompromised level of integrity. They have photos of their staff on the site, discuss the advantages of pack play, and list some pet owner testimonials. The establishment is designed around canine care. Grooming is available. This facility is licensed, insured and bonded for pet owner peace of mind. They offer slumber party type sleep overs for dogs, dog walking, fun with toys and treats as well as shampoo and blow drys. Within a 3 mile radius, they offer pet pickup and drop off. Accomodations for cats alike. Dog Boarding, Dog Day Care, Dog Training, And Dog Grooming in Los Angeles, California. Paradise Ranch, trusted above all the rest. We offer a myriad of pet services including cage free boarding at our exclusive property, private or group dog training, dog groomings you�ll tell your friends about, and alot more. So you and your family are going on vacation and your leaving behind your favorite Labrador. How dare you! You should feel ashamed. OK, I�m kidding. No need to make you feel any guiltier than you already may feel. Let not your heart be troubled. In an effort to help you feel a little more comfortable about leaving your family�s favorite friend with somebody else to watch after while your gone, I have included a whole bunch of boarding facilities and dog kennels for you to choose from. I think it really helps to give several a dog kennel facilities a call before you totally commit to one if it is your first time leaving your dogs in someone�s care. As a matter of fact, I have a better idea. It would probably do you and your dogs nerves a world of good if you actually went down to a couple of dog boarding facilities you have prescreened and inspected each. Nothing like being away from home and feeling confident and completely reassured by a dog kennel�s staff that everything your dog could possibly need or want is within reach. They keep watch on your dogs favorite toys and blankets, administer the unsavory, but at times necessary medications, and yes maybe even tune in his favorite program at 7:30 pm. Frasier. Oso, our black Labrador just can�t get enough of that Jack Russell. If you would like your pets to receive any further special attention like �play time� with one of the kennels keepers, then be sure to discuss this over the phone when you call them. Please remember that *many* boarding facilities are interested in verifiable proof of specific vaccinations before you drop off your dogs. Again, just phone the facilities when in doubt. And hey, relax and enjoy your vacation. Man�s best friend (your dog) will be waiting when you get home with a sloppy kiss for you.